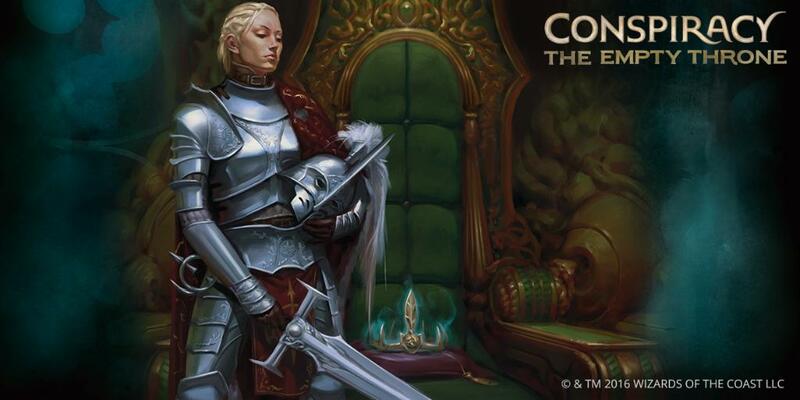 We’re in a lull this week, with Magic 2019’s official release behind us, and Commander 2018 spoilers next week. In the interim, we’re left with Mercadian Masques and Legends cards getting picked off a few copies at a time, with little guarantee to how quickly any will sell. People are arguing about the Reserved List (again), and Battlebond foils are still proving quite popular with speculators. Without much to go on, this week I’ll be considering some of what we do know of Commander 2018 so far, which is the four general themes – ‘Top of library matters,’ ‘Lands matter,’ Artifacts, and ‘Enchantments matter.’. Of the various themes coming this year, the Esper ‘Top of library matters’ deck is by far the most fascinating. It’s a theme we haven’t visited much previously. There was the Clash mechanic back in the Lorwyn era, in which players got bonuses for having a higher CMC card on top of their deck. There’s also been a few singletons here and there that stand out; Future Sight comes to mind. Overall the theme is under-explored relative to something like artifacts, and as such stands to generate a lot of excitement in previously low-interest cards. Thassa is hardly a low-interest card today, but that’s sort of the point. You’ll find her in nearly 12,000 EDH decks, which puts her just outside of the top 30 most popular blue cards in the format. Scrying every turn is helpful, and making creatures unblockable is especially useful in EDH, where there’s no shortage of blockers and plenty of creatures that offer big payoffs if you can actually get them to deal damage. It’s Thassa’s scry ability that has me interested here. With a ‘top of library’ theme, being able to get a free scry every upkeep could provide a lot of additional value. Of course we haven’t seen any actual card spoilers yet, so I don’t know what mechanics we may end up with, but I’d be surprised if they couldn’t make use of Thassa’s scrying. With her already substantial appeal, the introduction of a new theme that’s been relatively unexplored up until now, dwindling supply of the foils, and almost no chance of a foil reprint in the next year or two, foil Thassa is sitting pretty heading into the C18 spoilers. Over on the Jund ‘land matters’ front, I find Titania to be worth keeping an eye on. Returning a land from the graveyard to play is rarely not useful in EDH, even if your group doesn’t play targeted land destruction. Utility lands are likely to be milled away at some point, and recovering your Gaea’s Cradle is occasionally life-saving. It’s hard to envision a ‘land matters’ theme that doesn’t have room for Titania. That’s also the biggest concern here. Titania has so far only been in Commander 2014, and the much smaller rerun of Commander Anthology. Supply is low-ish, and a sudden surge of interest could drain the entire online inventory quick. That also means that she’s possibly on the slate to be reprinted. Wizards loves to reprint Commander-product cards in Commander, and since she’s so on theme, I’d put her reprint viability pretty high. However, if we get to the other side of the 99 and she doesn’t show up, I’d start watching inventory levels closely. Even moreso than Titania, what type of ‘land matters’ deck wouldn’t want Exploration. What type of deck of any sort wouldn’t want Exploration? None of them. The card is awesome, and playing lands is awesome, and green is awesome. Just before the Conspiracy reprint, Exploration ran up to $40. It’s wildly popular in EDH, and I think it would be even moreso were it not currently $20 or so. One needn’t be an EDH expert to understand why “play two lands a turn” is so appealing. Especially when it’s a format that’s easy to keep your hand stuffed with cards, which means you could be making two land drops a turn, every turn, for a solid 10 or 11 turns in a row, starting on turn one. God that sounds awesome. Exploration carries a good price tag today, and is flirting with the soft ceiling for EDH staples. I’d say any EDH legal card that’s been printed within the last seven or eight years is roughly capped at $40 or so. Cards seem to stagnate near that price point, as any higher than that and players decide it isn’t worth buying in. They know at that price, Wizards will eventually reprint it, and then they can buy it at a much lower point. I suspect Exploration could get close to that ‘soft ceiling’ later this year, assuming it doesn’t show up in Commander 2018. And I doubt it will, given the current price tag. That’s a lot of value to put into the precon. If they do, it will be one of, if not the banner card from that particular deck. Assuming it doesn’t make it in, it will be one of the first cards people will want to add to the strategy, and we could see it nearly double as a result.